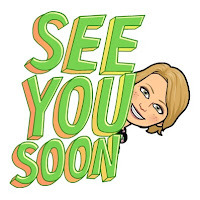 Hello Blog Friends. Happy April! I was a lucky winner of a giveaway. I won MacKenzie-Childs Bunny Candles! I was the winner of the Tales of the Traveling Tote - March 1st Giveaway! 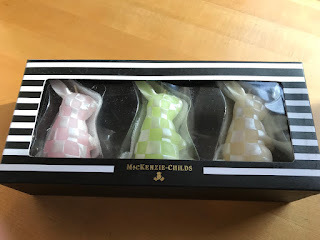 Cherry Kay of Entertaining Women hosted the giveaway of three checked bunny candles from MacKenzie-Childs. 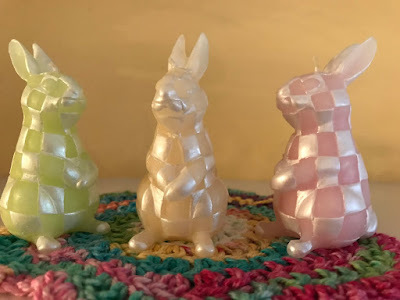 Patti from the blog Pandora's Box sent me the bunny candles and it was so much fun opening the box and seeing these cute bunny candles. I have them sitting on my mantel. I have the bunny candles sitting on top of a handmade crocheted doily. The pretty doily was made by the talented blogger Kitty from Kitty's Kozy Kitchen. 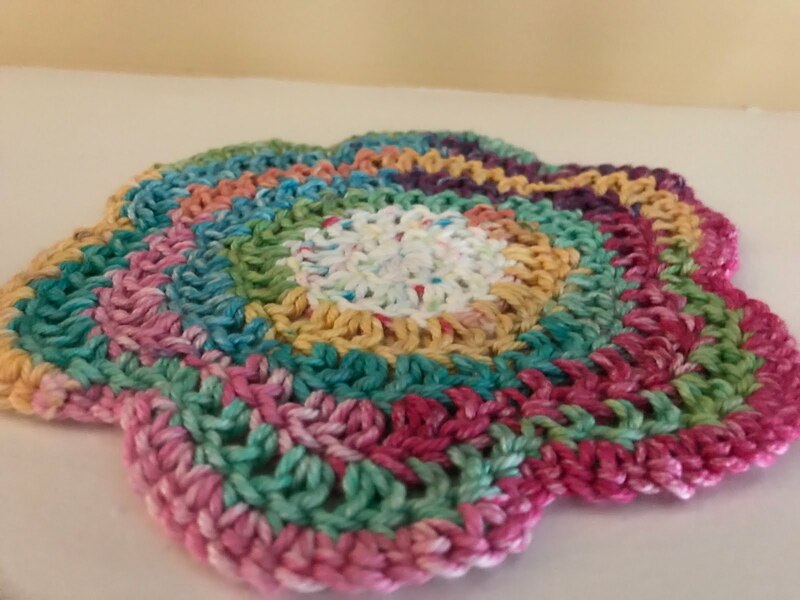 Thank you, Kitty I just love this colorful doily. You can also see in the photo below that Kitty made the Instant Pot Tuna Noodle Casserole that I recently made and I posted the recipe on the blog. Kitty made the casserole without the veggies. She made carrots and string beans on the side. Thank you Kitty for making the IP Tuna Noodle Casserole. Please visit Patti's blog Pandora's Box to read about The Traveling Tote Series. The next adventure will be on June 1st. These are the blogs that participate in The Tales of The Traveling Tote. 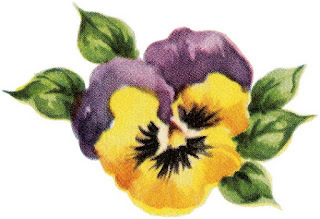 Pandora's Box, The Painted Apron, The Sketchy Reader, Mountain Breaths, The French Hutch, Life and Linda, Panoply, Hyacinths for the Soul, Purple Chocolat Home, and Entertaining Women. 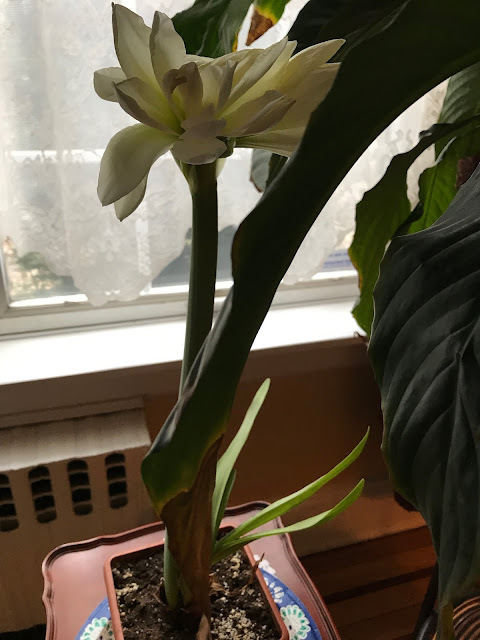 This pretty white amaryllis flower bloomed recently. I received the pot, bulb, and dirt as a gift at Christmas time to plant. Thanks, Cynthia I love this beautiful plant and I think it's the perfect way to celebrate Spring! What nice things you've received! Those bunny candles are adorable. I just put out my decorations for Easter. I love your amaryllis too! Congratulations on your winning of the adorable candles, Julie! I'm glad that you like the crocheted piece. 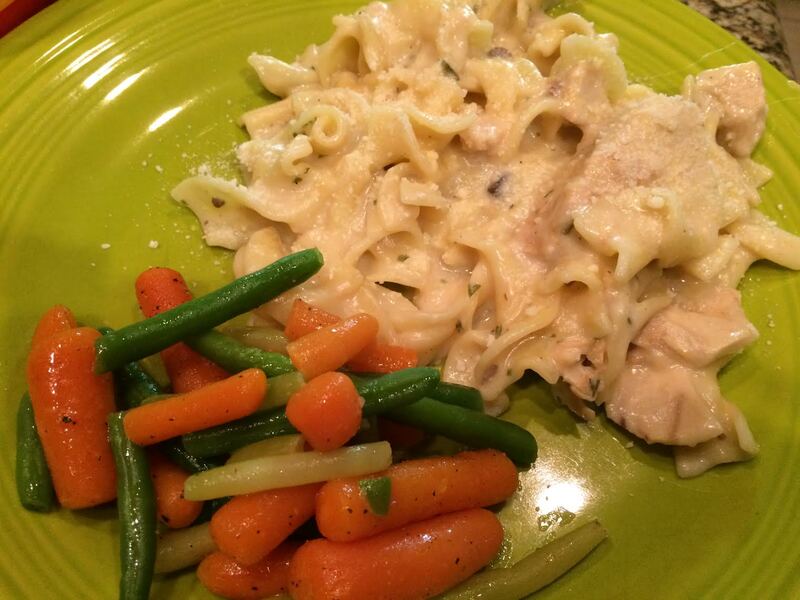 I loved the tuna and noodle and froze the extras so that my son and I can have it again. Aren't amaryllis plants fun to grow? They add some happiness in our homes. Wow, those are some lovely gifts and winnings, Julie. It's the perfect way to welcome spring! Congratulations! The candles and the crochet doily are lovely. Happy Spring! Wow! What a lovely win you've scored! Perfect for Easter tablescaping! So happy you are enjoying the candles! And thanks for the shout out for our traveling tote posts! We are a fun group who love sharing all of our adventures!! Happy spring!! 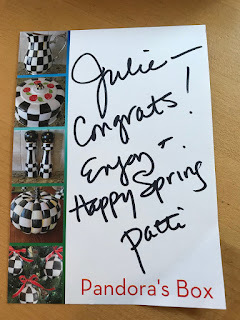 I’m so happy you won our giveaway Julie! Looks like you are enjoying the cute candles! Thanks for the shout for our group and blogs!! I absolutely love those bunny candles!! They are so cute!! I still will continue to drop by and see what you are up to..
Congrats on the win. 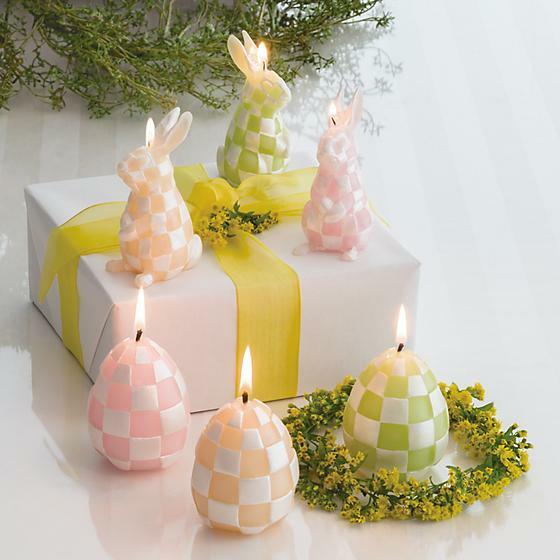 Those bunny candles are just too cute. Have a great Wednesday. Those really are the cutest ever! I'm so happy for you! Wish there pretties didn't cost so much...I'm cheap! lol Hugs!